Click here to for the details. For questions, contact Candace Melloy at 270/442-6795 or candacepcm@hcis.net. 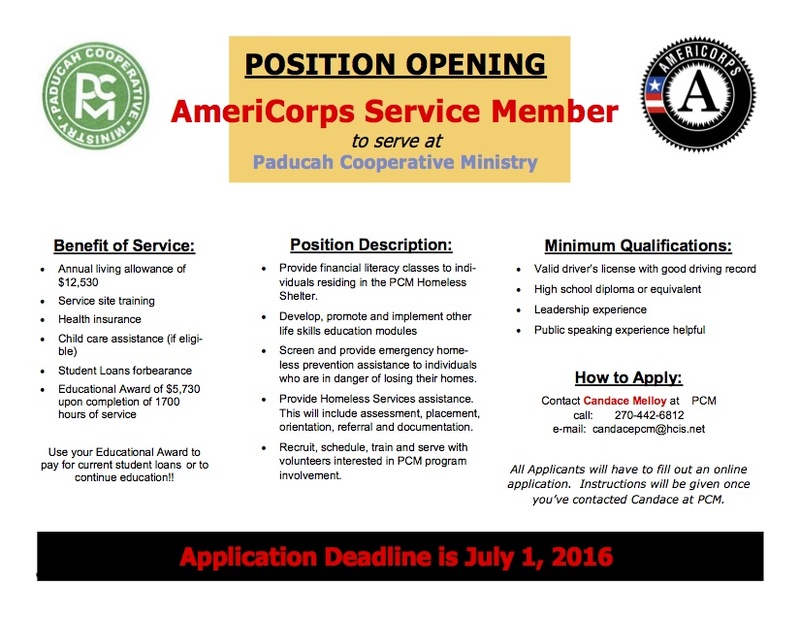 2 Comments to "Job Opportunity: AmeriCorps – Deadline 7/1/16"
Good afternoon, Does the AmeriCorps provide work for inmates released from McCracken County Regional Jail? My son is in the jail for non-payment of child support to KY. He wants to remain in Paducah to be closer to his daughter. Thank you for your time and suggestions. their programs page and access contact information. Best wishes!